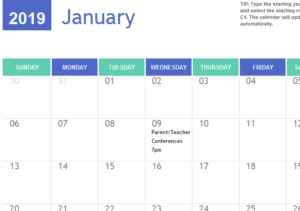 The 2019-2022 Calendar Scheduler is a free calendar Excel template that you can use to quickly organize and prioritize all the important events of your year. You might know the sting of your New Year’s resolutions or goals falling through because of poor organization. This template gives you the necessary tools to make this year your own! You have the power to add, customize, or delete events on your calendar as you see fit. You don’t have to let another year go to waste, use the free 2022 Calendar Scheduler today and start accomplishing all those things on your to-do list. You can start by scrolling to the bottom of this page and clicking the link below. This will automatically download the free template to your computer so you can start customizing to fit your life and daily needs. You need to open the sheet and select the Year. 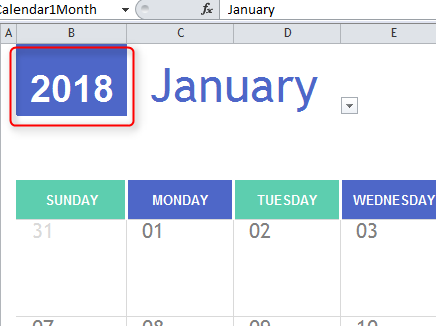 Simply click the cell containing the year and change it if it needs to be updated. Now, do the same for the month. The free 2019-2022 Calendar Scheduler will take care of the rest by adjusting all the values you see below to match the corresponding dates that you have selected above. 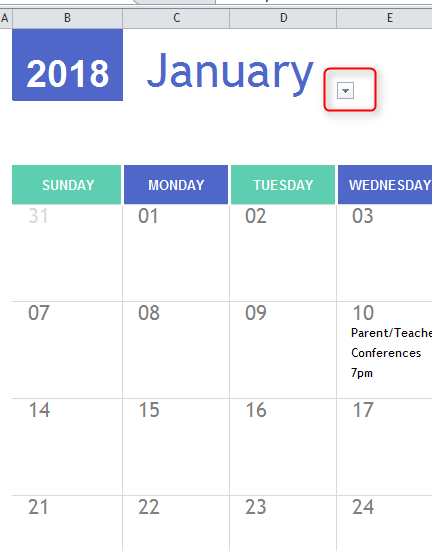 Now, it’s time to start updating the calendar to include your own events. Let’s say that you have a birthday party coming up for your friend, Steve. 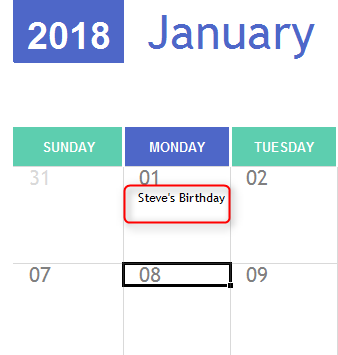 You would find the day of his birthday, let’s say January 1st. You would then click inside that particular cell and type a note for yourself. You have the power to make this year your own, download the free 2019-2022 Calendar Scheduler, today!